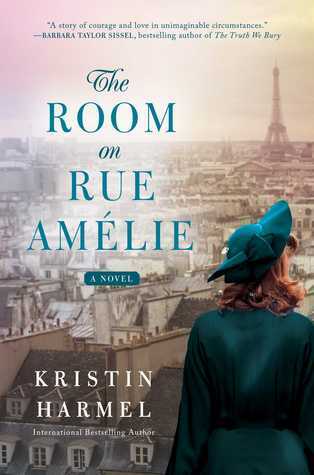 The Room on Rue Amélie is a wonderful new book about the resistance in Paris during World War II. The characters are well written and the story is a real page turner that will keep you reading to find out how it ends. 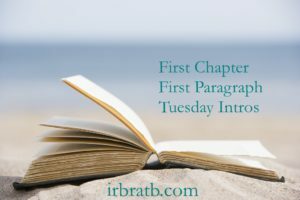 I liked the way Kristin Harmel started the book with an epilogue about a elderly couple in California during current times. The wife is very ill and facing death and the husband is very distraught. As readers, we don't know until the end of the book which of the couples in the story the epilogue was about. The year is 1939 and Ruby has fallen in love with a Frenchman and moved to Paris despite her parent's warning that the political climate could be dangerous. She is in love and it's Paris and what could possibly go wrong with her life? In 1940, Paris fell to the Nazis and her life and her marriage began to fall apart. During this time, she became friends with a young Jewish girl in the next apartment whose father refused to leave Paris because he felt that he had nothing to worry about with the Nazis because he was a vital member of the economy. Add to the story, an RAF pilot who got shot down and hides in Ruby's apartment until arrangement can be made to get him back to England and you have a story of intrigue as everyone tries to help him without getting caught by the Nazis - which would mean certain death for all of them. This book is about two brave strong women who stood up against the evil of the Nazi regime in Paris to save their friends and their city. Readers will want to add this to their bookshelves with other recent books like The Nightingale and The Lilac Girls. I'd keep reading. Great cover! This sounds like a fascinating World War II story. I've read several books set in that era and enjoyed them. Not a huge fan of novels set around war times but, I heard good things about this author. I love books set in Paris; I love books set during WWII; and I can't resist that cover! Gorgeous cover and excerpt! I love the era, the setting, and the sound of this one. Thanks for sharing...and for visiting my blog. This sounds so good. I hope you enjoy it. Have a great weekend! I'd definitely keep reading! Looks like a really good book! And that cover! !